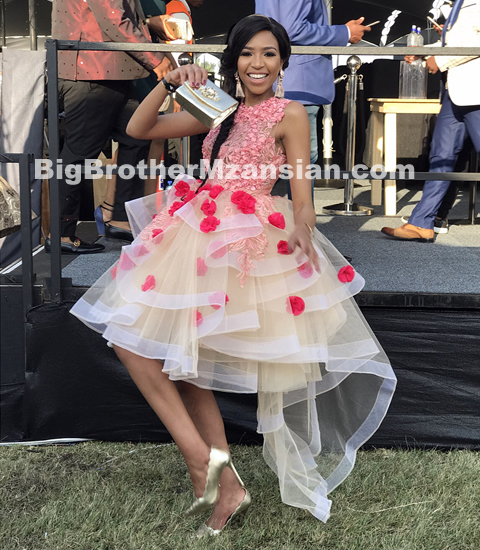 Model and reality Tv star Blue Mbombo and former BBAfrica star Pokello Nare are some of the celebs that turned up at this years' Durban July. 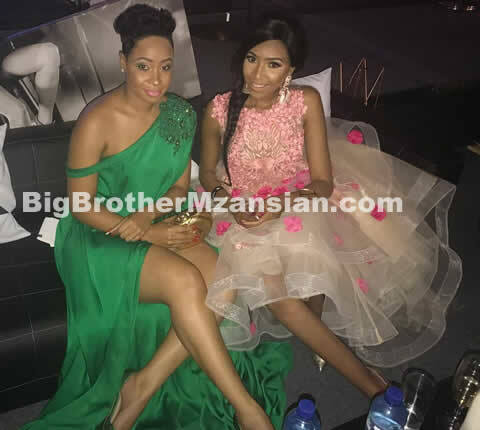 The mother of two (Pokello) and Blue Mbombo didn't disappoint at all as they donned superb dresses for the event. Pokello took to Instagram where she posted a photo of her and Mbombo with the followingg caption "Durban July with baby boo @blue_mbombo". she wrote. 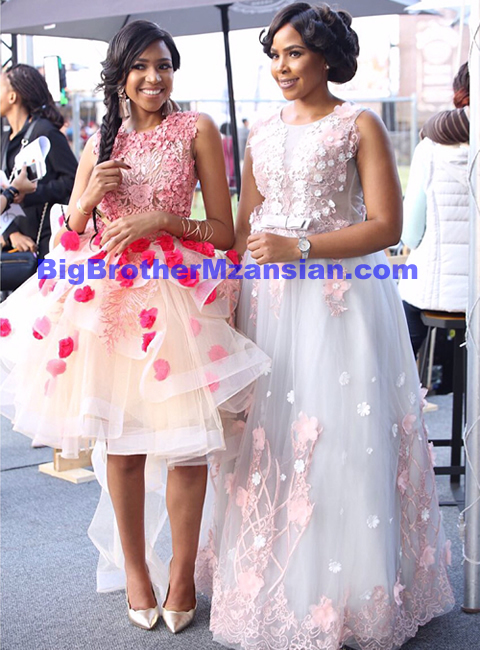 Mean while Blue's twin sister Brown Mbombo was also in attendance and couldn't miss the opportunity of posing infront of the cameras with her dear sister as can be seen in one of the photos below.